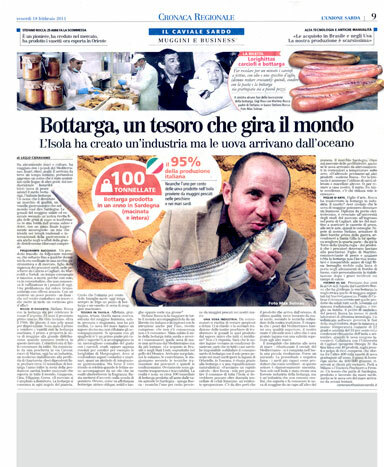 In this newspaper article of Lello Caravano, Stefano Rocca retraces the steps of his company. From a small workshop in the heart of the Marina district in Cagliari, to the modern company of Quartucciu (CA) with 10 employees and a production of 55 tonnes of botargo year. Proper recognition for one of the brightest business activities on the island who does this year 25 years of activity in the sector.